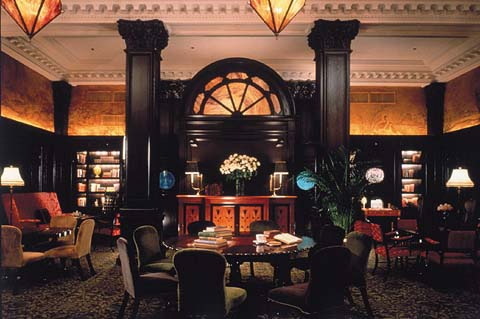 I’ve twice sat in the lobby bar of The Algonquin Hotel and enjoyed a cocktail while imagining the days of Dorothy Parker, the “Vicious Circle,” and the Algonquin Round Table. The hotel, located at 59th and West 44th in New York City, was the central meeting point for writers, editors, humorists, playwrights and actors in the 1920s. 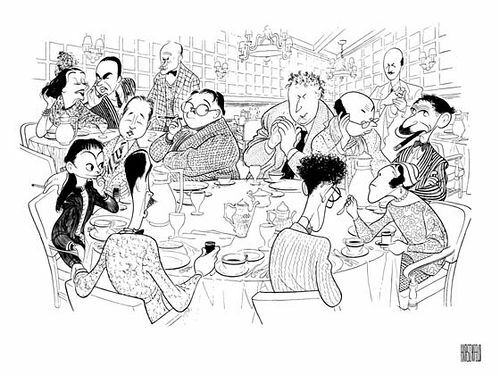 Dubbed The Algonquin Round Table, this notoriously witty group met for lunch daily at the hotel from 1919 until 1929, engaging in wisecracks, witty banter, and wordplay, much of which received international attention. Over the ten year period, members included the likes of Robert Benchley, Edna Ferber, George S. Kaufman, Harpo Marx, Robert E. Sherwood, Alexander Woollcott, Donald Ogden Stewart and, of course, Dorothy Parker (my libatious and literary hero). 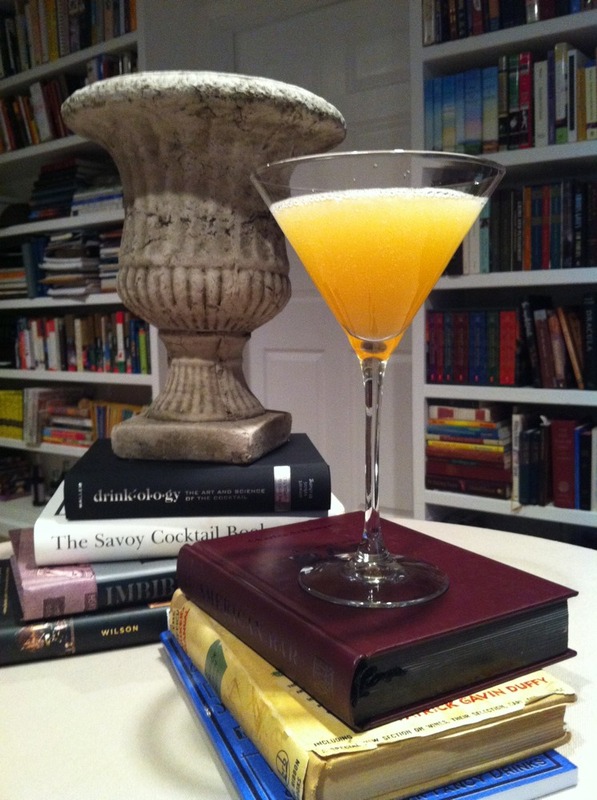 While the stories of the round table are numerous and quite entertaining, they do not, however, have any real bearing on our second cocktail in our Vintage Cocktail Project, “The Algonquin.” Members of the round table sipped (okay, maybe threw back) gin martinis. “The Algonquin” is actually a whiskey-based drink. Another interesting note, the hotel, built in 1902, was dry even before Prohibition. Hotel owner Frank Case closed the hotel bar in 1917 (two years prior to Prohibition) and had strong opinions against those running speakeasies in the following years. There doesn’t seem to be an actual creation date associated with The Algonquin Cocktail. Most guess that the drink came into being after World War II toward the end of the golden cocktail era. No matter the actual date, it is truly a classic to be enjoyed. While this is considered a forgotten cocktail, it uses readily available ingredients and is simple to make. You probably have these three components at home and can mix this one up right away. The aroma is predominantly pineapple, but the first taste you are met with is rye. The overall taste is spicy, smoky, smooth. The finish is a sort of bitter pineapple taste (dry not sweet as expected). The taste reminds me of grilled pineapple and would pair well with a ham dish, or grilled pork. Interesting side note: The Algonquin Hotel has many traditions, most of which were started by Frank Case. One of these traditions is the keeping of a cat that has total run of the hotel. In the early 1930s, Case took in a stray. Actor John Barrymore suggested to Case that the cat needed a true theatrical name, so the cat was called Hamlet. The tradition continues today. When the cat is male, he bears the name Hamlet. Female felines have always gone by the name Matilda. 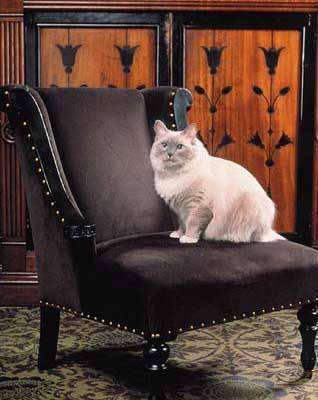 The current Algonquin cat in residence, “Matilda,” is a Ragdoll and was named 2006 cat of the year at the Westchester Cat Show. She receives email via the GM’s executive assistant, and for her 15th birthday she hosted a full out cat fashion show in the lobby of the hotel. (see photos by clicking here if you don’t believe me) Matilda has her own chaise in the lobby and can be seen lounging about the front desk. I’m sure you will agree that the overall quirky and eccentric nature of this famous hotel alone makes it deserving of a cocktail bearing it’s name.